Brooklyn-based landscape architecture firm Nomad Studio has designed a "kinetic living sculpture" for the Contemporary Art Museum of Saint Louis. 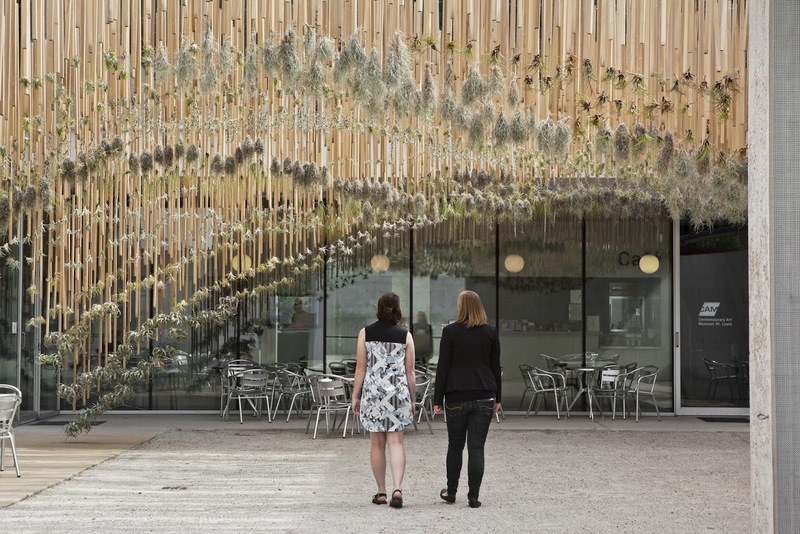 The installation—dubbed Green Air—is the second half of a two part exhibition at the museum; this iteration features an array of Tillandsias (an evergreen plant) hanging from slices of repurposed wood. The undulating hanging garden partially diffuses light into an open space within the Museum. According to a press release, Green Air was "conceived as a living, kinetic sculpture nested within the courtyard of the Contemporary Art Museum of Saint Louis." The work is a reaction to Nomad's previous installation, Green Varnish, which was an equally curvaceous landscape form that rose up from the ground at an angle. Dismantled last fall, the green fabric was made up of thousands of succulents that "symbolically covered all the inconvenient facts of our lifestyle." (Green Varnish won last year's Best of Design Award in the Temporary Installation category.) In fact, Nomad said the space was "modeled as the inverse of Green Varnish, both in form and intention," as it switched from an anchored solid to a free-hanging fluid volume. By doing so, the studio aimed to create a "continuity and dialogue between the two pieces and the people who experience them" as well as conjure up "urgent reflection upon the contrast between the dynamic and static in natural and man-made systems." In a basement laboratory at Harvard University’s Graduate School of Design, Bradley Cantrell flips a switch, and a river begins to flow. On a table surveilled by movable sensors and a Microsoft Kinect, pulses of water carry bits of colored sand down a model riverbed. 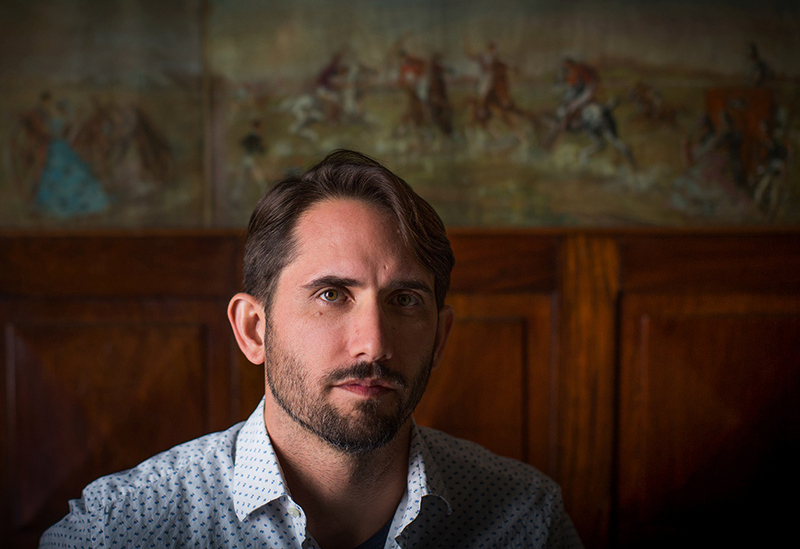 As an associate professor of Landscape Architectural Technology and director of the GSD’s Master in Landscape Architecture Program, Cantrell runs experiments like these to better understand the natural elements that make up his profession’s palette. But by using computational methods to analyze and even redesign nature, he’s also breaking new ground in the field. Cantrell’s work blurs the lines among environmental engineering, landscape architecture, and artificial intelligence. He sat down with The Architect's Newspaper contributor Chris Bentley in April. The Architect’s Newspaper: Your work has been described as “computational landscape architecture.” How would you define it? Bradley Cantrell: I like the term “responsive technologies.” I use a slightly more provocative term sometimes and talk about “cyborg ecologies” or “cyborg landscapes.” It’s really that there isn’t this differentiation between natural systems and human constructed systems. Our technologies actually augment and, yes, change these, but we should celebrate that synthesis as opposed to setting up a duality. We think about nature as being bound in this one place, humans being bound in another. My take is that we should celebrate the connections between those two. It’s not my goal to put computation into everything. But my work uses computation to set up this set of interconnected relationships in a more advanced way. You talk about embedding sensors and computational technology into the physical landscape, so the landscape reacts to its users in a kind of conversation—what are some of the possibilities of that? We have this fluid modeling table, but we’re not really modeling a known landscape like the Mississippi Delta. What we’re really doing is using the dynamic nature of that fluid flow and looking at the way the sediment behaves within that. And we’re trying to then use ways of sensing the surface morphology so we can get a digital model of that surface. We can also get spot elevations so we understand how high places are; we can understand how fast water is moving. But then using that data, trying to imagine what are the interactions with that data in real time. We could begin to calculate the actual power of the river to build land or erase land. We could use it to stabilize certain portions, allow other portions to be more in flux. But the idea there is that by using computation we could take on multiple goals. So it could be about building land, but also that land ebbs and flows because there’s another cycle of a bird species or something like that. Right now we’re taking a very naive approach and just saying, “What are the possibilities of how we can manipulate the system?” And then ideally beginning to layer complexity into that. Right now, when we want to change a river system, we dredge or build a levee to hold water over here and make it dry over there. 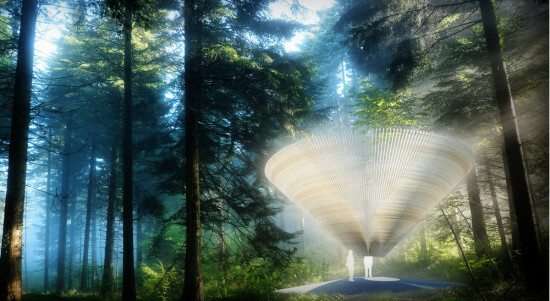 So it’s a much more traditional construction method, and this one speaks to this kind of real-time interaction with the landscape. That feedback is one that I think is really important. It speaks to the flora and fauna, too. There’s the idea of resistances among all of these different actors, that there is a form of evolution. And that leads to more resilience within that system because in some ways we’re not depending on a single moment that holds everything together. You want to let natural systems run their full range of behaviors, but it’s risky to engineer unpredictability into our landscapes. What’s the right amount of uncertainty? This is a really big question that I don’t have an answer to. But I think it’s a really interesting one. If you think of the way we’ve manufactured something like the Mississippi River, the current state of it has all been put into place for human beings. It’s about navigation up and down the river; it’s about protecting human settlements. And then there’s a whole series of effects from that that alter the surrounding ecosystem. But we then build other things to remediate those effects. My take would be that the relationship could just be more advanced between all of those systems. Sure, there’s going to always be these issues that pop up. But ideally the way things are being managed can propagate those changes back out to the system. It’s not about taking all the levees down. It’s about how we’re interacting and changing the way the flow occurs in one spot, but we aggregate that off of a thousand points and suddenly the whole river system behaves slightly differently. Can we hold the river in place for a certain amount of time with some certainty? And then can we open that up and allow the river to take on a new course? When you use terms like “cyborg coast” and “synthetic ecologies,” it sounds like you’re the Dr. Frankenstein of landscape architecture. But building responsive landscapes does not mean replacing natural systems with technology, right? What’s the ideal balance between reengineering nature and conserving it? I think a lot of people have issues with the idea that we’re actually extending even more control over the landscape. I think there is a fear of that we’re constantly in discussion about how we relinquish control. I think it’s an open question. I would say that you do run the possibility of basically manufacturing everything. As our technologies have gotten more advanced, what we’ve seen is really having more and more control over deeper and deeper levels of biological life. Commercial agriculture is a good example of how we’ve extended that control in a way. But one of the issues there is that it all hinges on basically one variable, and that’s productivity. When everything is hinged on that, then we get a very homogenous situation across commercial agriculture. And that’s where I think this idea that there are competing goals and that humanity might not always be at the center of all of those goals—that takes somewhat of an enlightened viewpoint, but it also is one that is necessary for us to have. Where do digital representations of the environment still come up short? Is it impossible to model a natural system without oversimplifying it? I think there’s a kind of clarity in terms of the actual changes we’re making. It’s very difficult for me to say that when I perform this operation, it propagates up through the system in this way. It’s not all about us having better models and better simulations. Part of that is about having a clear understanding of what we’re modeling and the relationships in those models. I think that part is one that’s somewhat missing. Some of these get ironed out just by convincing someone in a small plot of land that this might be an interesting idea and going out and starting to test it. Even an art project that takes the sediment diversion and uses it as a way to kind of print or paint the landscape—that isn’t all about exactly how the ecological system performs—may sound silly, but it’s a step in that direction. Then people start to see the potential. Building the system and letting people see how it operates is an important step—even if it’s art first. What’s the next step in actually implementing these ideas? All the work now is in the lab. I try to make the work a bit more robust by actually working with civil engineers, computer scientists, and ecologists to make sure that they understand that this work exists, because those conversations are the ones that become the most interesting. When an ecologist says, “I never really thought of the idea that you would create basically a robot that would create an ecological system that was outside of human construction.” Suddenly there’s a new place where, is that wilderness? Is that commercial agriculture? Is that design, when you’ve made a robot that thinks for itself and is actually changing the world around us? If we haven’t really manufactured it and it’s a place that we don’t actually understand how it completely works, because it’s this other thing making it, it’s almost wilderness on one hand. The genesis is human construction, but the actual actions are computational logics. We’ve tried our hardest throughout time to make sure we’re not part of nature. In some ways we’re realizing that there is no separation. We’re actually remanufacturing the Earth similar to any other species that has the same capabilities we might have. That’s something for us to come to grips with. When we do, we suddenly have a new responsibility in the world. It’s not about us doing something and nature responding. What we’re doing is possibly just wrong. It’s not about responding. It’s that we need to be the ones that rethink our processes. 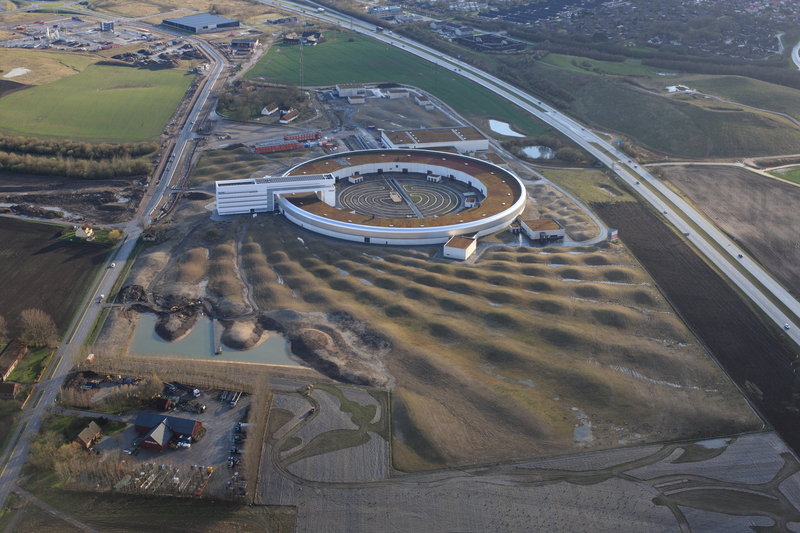 This synchrotron radiation laboratory—basically a fancy term for a type of particle accelerator—dubbed MAX IV is set to open outside of Lund, Sweden this summer. (If you want to get more technical, synchrotron radiation involves charged particles releasing electromagnetic energy when they’re forced to move fast along a curved path. Objects in space can naturally emit synchrotron radiation, too.) 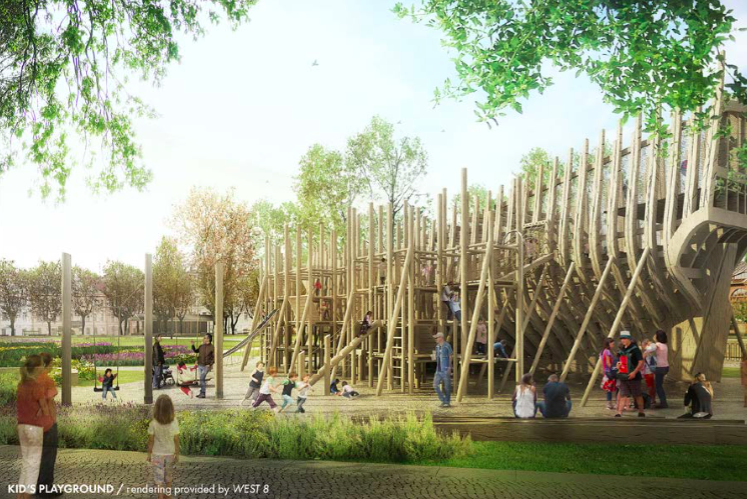 Designed by Swedish-based architecture firm Fojab, with landscape design by Norway- and U.S.-based Snøhetta, the lab will hold two storage rings. They're curved to allow charged particles to move close to the speed of light. The landscape design and larger ring—approximately 1732 feet in circumference—will open this summer. (We can’t help but point out that the lab bears a resemblance to the under-construction Apple 2 campus.) In designing the landscape for the sloping 45 acre site, Snøhetta looked to the surrounding area (which is mostly agricultural) and the planned accelerator's curves. Their design features waves of grass meadows forming mini-valleys oriented. Snøhetta focused on four key needs: minimize ground vibrations, include storm water management, define plant selection and maintenance, and reuse excavated land. “A cut and fill strategy was needed to keep the existing masses on site as it secures the option of reversing to agricultural use when the synchrotron no longer will be on the site,” said Snøhetta in a release. “By uploading the digital 3D-model directly into the GPS-controlled bulldozers, we were able to relocate the masses to their final position in one operation.” Their design will include local grasses and feature two ponds (wet and dry) for storing storm water on site. Sheep will help maintain the meadows and the valleys will help with storm water management. Construction is wrapping up on the MAX IV Lab. (Ground breaking was in 2010.) 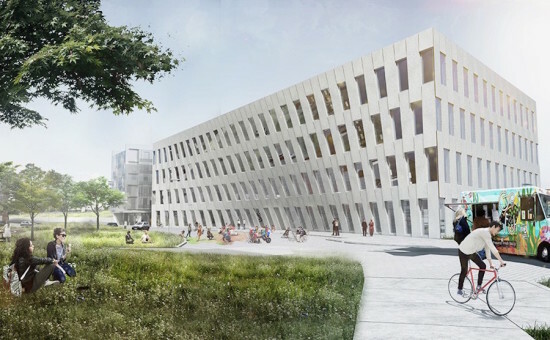 The lab is part of Lund University and also operated by the Swedish Research Council and will replace the three previous synchrotron labs at the University—MAX I, II, and III. Funding for the project is coming in part from Lund University, the Swedish Ministry of Education and Research, and the Swedish Research Council. There are many synchrotron radiation facilities around the world. The largest one is the famous CERN Large Hadron Collider in Switzerland with a 17-mile circumference. We know much about Louis Kahn. The Estonian-born (tsarist Russian at the time) American architect based in Philadelphia built his career on monumental buildings that often used exposed reinforced concrete. We know about his life and relationships, explored in his son Nathaniel Kahn's 2003 documentary, My Architect. But what of Nathaniel’s mother, Harriet Pattison, who was a colleague, friend, and romantic companion of Kahn later in his life until his sudden death? “Louis Kahn had a complex relationship with Harriet Pattison, Nathaniel's mother. He would arrive, announced only by a last-minute phone call, at her house once a week,” wrote The Guardian back in 2004, when Nathaniel Kahn’s movie was first released in the UK. “He would play with his son on the lawn, stay for lunch and dinner, and drink a chilled martini or two. Then Harriet would drive him into town and drop him at the end of a darkened street, with Nathaniel wrapped under a blanket, watching as his father vanished into the night, back to his wife.” We previously knew Harriet Pattison through bits and pieces. 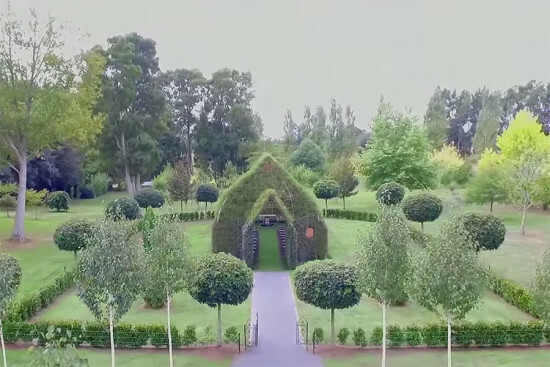 A landscape architect, she worked with Kahn in his office on numerous projects. One was the Franklin D. Roosevelt Four Freedoms Park before Kahn's death in 1974. The project fell away until it was revived in 2009 and finished in 2012. (The park sits on the southern tip of the slender Roosevelt Island surrounded by the East River with the lower Manhattan skyline rising to the west and Queens and Brooklyn to the east.) She also helmed another major project with Kahn: the landscape design at the Kimbell Art Museum in Fort Worth, Texas. But now an oral history project sheds more light on Harriet Pattison’s life and work. 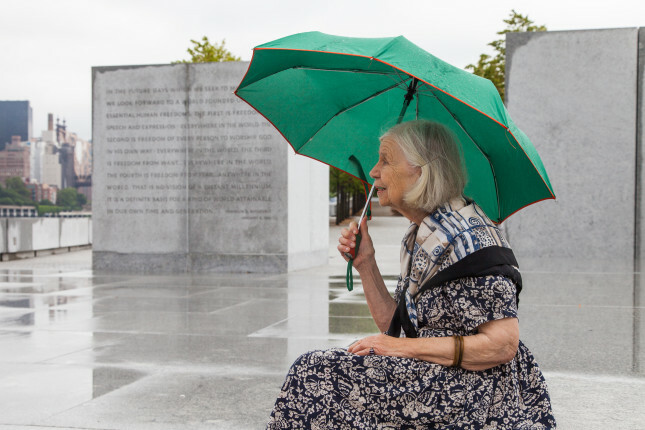 As part of an ongoing oral history series on landscape architects, the D.C. based nonprofit the Cultural Landscape Foundation (TCLF) is releasing a 93-minute oral history tonight (April 19) on Harriet Pattison. In 32 wide-ranging clips, Pattison reveals how she approached her work, life, and Kahn. The series (which you can find here) begins with her growing up in Chicago, through her opening of a private practice, to her major works like the Hershey Company Headquarters. “Harriet Pattison has been overshadowed by Louis Kahn and shares the responsibility, but not the credit, for the creation of two Modernist icons” said Charles A. Birnbaum, TCLF’s president & CEO in a statement. “The goal of this Pioneers Oral history series is to make Pattison’s unique and inspiring story and design legacy visible and valued.” Birnbaum interviewed Pattison at UPenn’s architecture archives in Philadelphia last June. The Pattison oral history project unveiling coincides with an exhibit opening on Pattison’s work at the University of Pennsylvania School of Design, Harriet Pattison: Gardens & Landscapes. In 2011 SWA built the nation's largest planned Zero-Net Energy (ZNE) community. Working in collaboration with the University of California Davis and developer West Village Community Partnership (WVCP), the project houses over 2,000 students and 500 staff and faculty families. When UC Davis started the West Village Energy Initiative (WVEI) in cooperation with WVCP in 2003, the university initially only aimed for a 50percent reduction in energy consumption (compared to the California Energy Efficiency Building Code). However, in 2008 the initiative proposed that without losing quality and at no extra cost to the developer, West Village could become a ZNE community. 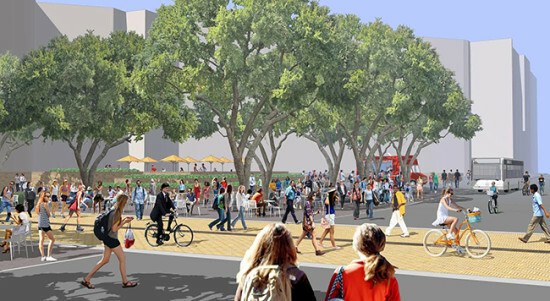 A public-private partnership with the developer and UC Davis has been able make WVEI's 2008 proposal a reality. SWA master planned the 225-acre neighborhood and prepared landscape strategies for its development. Included in the housing scheme is a network of parks, storm water ponds and corridors, bicycle and pedestrian trails, a community college, and retail and recreational services. These areas incorporate on-site energy generation which are aesthetically designed and in harmony with local environmental conditions. In preparation, SWA conducted analyses at regional, site, and building/garden scales in order to maximize opportunities for passive cooling. Designers arranged buildings in loose clusters that allow breezes from the Bay Delta to filter through the site. SWA also proposed the planting of deciduous shade trees, reducing the need for air conditioning. In a bid to promote zero-energy methods of transportation, SWA integrated an extensive cycling network into the scheme making it the primary way of getting around the neighborhood. Davis is, after all, home to the first bike lane in the United States. 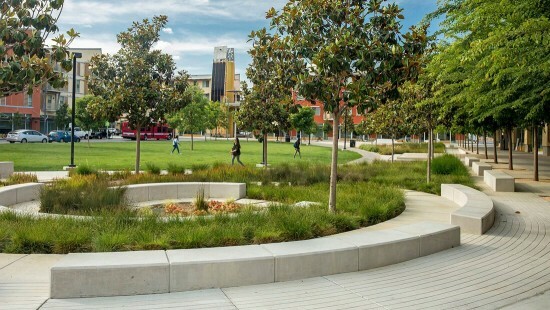 SWA integrated drainage into the site's system of parks, sports fields, trails, and gardens. Storm water drains to the site's large northern ponds, where it is purified by native wetland planting in a series of basins. The slopes of the site's ponds incorporate native shrubs and trees, selected in cooperation with UC Davis' horticulturists, botanical garden curators, and ground and maintenance personnel, to provide a sustainable habitat for migratory birds, while also providing a visually appealing natural landscape for residents year-round. UC Davis' internal monitoring shows that the West Village ZNE community achieved an exceptional 87 percent of initial ZNE goals in its first year. In 2013, West Village received the ULI Global Award of Excellence, which honors outstanding development in both the private and public sectors, with an emphasis on responsible land use. 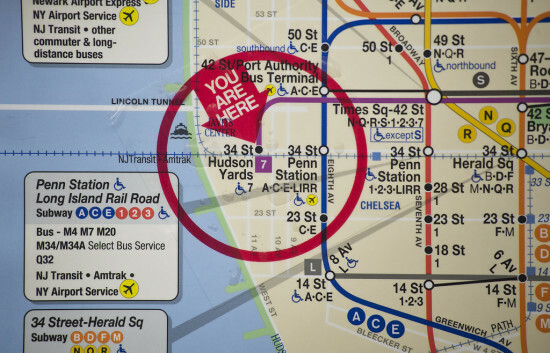 On Sunday, September 13th, New York City got its first new subway station in 25 years. Located at 34th Street and Eleventh Avenue, the 34th St-Hudson Yards station extended the 7 train one and a half miles to serve Manhattan's Far West Side. Dattner Architects designed the 364,000 square foot, $2.4 billion station. The new station is ten stories underground, and features the subway system's first inclined elevator. Below the canopied main entrance, designed by Toshiko Mori Architect, a multicolored mosiac mural by artist Xenobia Bailey greets passengers. MVVA designed the park surrounding the main entrance. See the gallery below for images of the new station. Bjarke Ingels is giving Philadelphia's antique Navy Yard a jolt into the 21st century. BIG teamed up with James Corner Field Operations to bring a $35 million office building, called 1200 Intrepid, featuring double curves designed to mirror the contours of Corner's surrounding landscape. "Our design for 1200 Intrepid has been shaped by the encounter between Robert Stern’s urban master plan of rectangular city blocks and James Corner’s iconic circular park,” Ingels said in a statement. “The ‘shock wave’ of the public space spreads like rings in the water invading the footprint of our building to create a generous urban canopy at the entrance.” The 94,000-square-foot, four-story structure just broke ground in the Navy Yard. 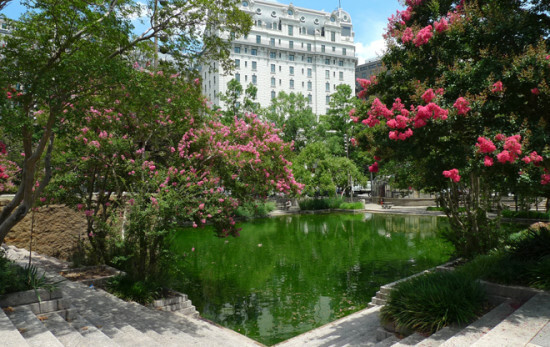 It stands adjacent to the Central Green, a park that boasts circular plots occupied by a variety of trees and plants, pedestrian pathways, and a hammock grove. In addition, it offers a fitness station, a table tennis area, and a running track that 1200 Intrepid's design responds to. The park and building are part of Pennsylvania’s plan to transform this segment of South Philly from an industrialized business campus to a multi-functional industrial space that will accommodate 11,000 employees working for companies ranging from the pharmaceutical industry to Urban Outfitters. The plan to revitalize the Naval Yard began in 2004 when the state commissioned Michael van Valkenburgh Associates, Robert A.M. Stern, and numerous experts to create a master plan that “includes environmentally friendly workplaces, notable architecture, industrial development, great public spaces, waterfront amenities, improved mass transit, and residential development,” according to the Navy Yard website. Ingels’ building will help reach the Yard’s estimated goal of supporting up to $3 billion in private investments, 13.5 million square feet of development, and 30,000 people. Although 1200 Intrepid has yet to secure tenants, according to the Philadelphia Business Journal, it is set to open its doors in 2016. The project is being developed by Pennsylvania-based Liberty Property Trust and Synterra Partners.